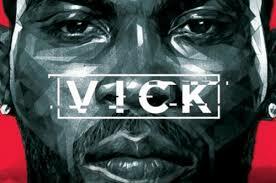 The Newest Rant: Film Friday: Trailer-Talk about, "Vick,"
The trailer for the upcoming documentary about Michael Vick looks fascinating. I know a lot of people still despise the man and think what he did was terrible (which it was, it is just odd he's hated more than some celebrities who have actually killed humans yet been forgiven). Whether you think he can find redemption in some form or will hate him forever, this looks incredibly interesting. Check out the trailer at this link.